Your four hour adventure begins with a transfer from your Queenstown accommodation through the historic gold mining village of Arrowtown to the start of the Arrow River trail. You will cycle along the beautiful Arrow River gorge till it meets the confluence of the Kawarau River, joining the original miners trail that crosses the famous Kawarau suspension bridge and Bungy site. At the end of your bike ride you will be transferred to the Gibbston Valley winery for a relaxing wine tasting before being delivered back to Queenstown. Today follow the coast to Picton, located at the top of the North Island. As you leave Kaikoura take in the spectacular shoreline and keep a lookout for native wildlife as you go. Stop to view adult fur seals at Ohau point, and take a short stroll inland to view the pups frolicking in the waterfall upstream. 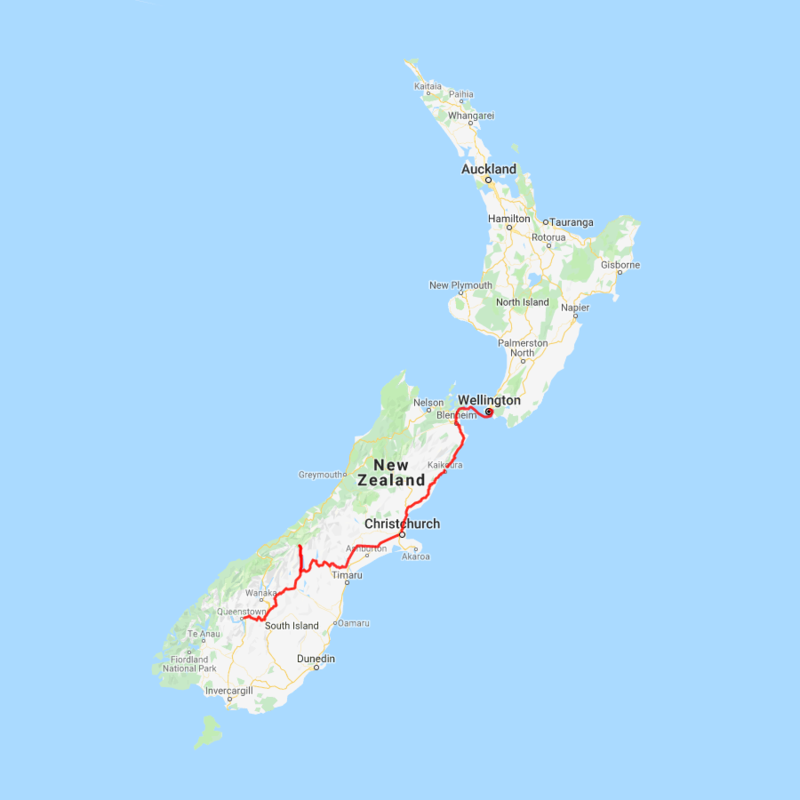 Continuing on, you'll have the ocean on one side and the Kaikoura ranges on the other before traversing the dry hills of Marlborough, New Zealand's largest wine producing region. Visit one of the vineyards surrounding Blenheim for wine tasting or a gourmet lunch before beginning the final leg of your journey to Picton. You will be met on arrival into Wellington and transferred to your hotel.